Violence Dynamics Digital Digest – Rory Miller & Marc MacYoung – Conflict Research Group, Intl. This 47 page Digital Digest provide you an introduction to the important concepts of violence dynamics. You will learn about the difference between social and asocial violence and how this knowledge can help you deal with violence. In addition, you will gain in-depth knowledge and insights into the various models of violence found in modern society today, and focus on helping you identify indicators of possible violence in unstable situations & scenarios. 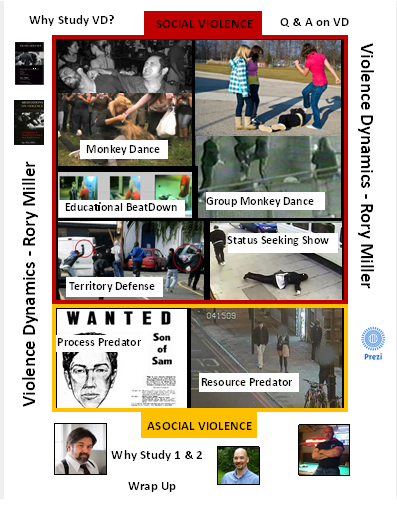 The course draws heavily on the violence dynamic models and writings of Rory Miller and Marc MacYoung.